Community Financial offers the latest services designed to make your busy life easier. Beginning Friday, September 15, 2017, New Automated Clearing House (ACH) rules went into effect that may remove the “float” time before an ACH transaction clears your account. Funds may now be deducted and credited the same day. Financial institutions across the country will be required to follow new regulations that allow ACH electronic debits (transactions between institutions) to post multiple times per day. Click here to learn more. Community Financial’s free MasterCard Debit Card looks like a credit card but works like a check. Access your checking account anywhere you see the MasterCard logo at millions of stores, restaurants and attractions worldwide. You can also use it to pay bills and make online purchases. All transactions appear on eBanking and your monthly statement. Apply for a MasterCard Debit Card today. 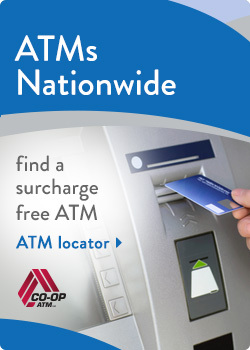 There are no monthly fees or per transaction charges relating to this access card. At Community Financial, our MasterCard can give you peace of mind thanks to the security of MasterCard's Zero Liability Policy. Your cards are covered if they are ever lost or stolen.